What is a Toto Washlet? 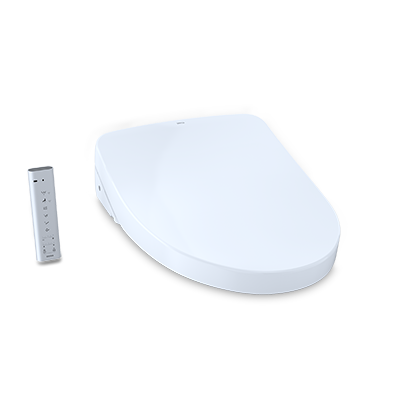 A Toto Washlet is a toilet seat that adds the functionality of a bidet to a toilet. It allows you to clean yourself with the assistance of water without moving to a different fixture. Toto makes several models, each with different options and also with varying shapes to fit elongated or round toilet bowls. I found this short video created for Westerners that are planning to visit Japan that explains how to use a Toto Washlet (they describe it as a modern, Western-style toilet). Bonus: You also get a little lesson in etiquette to find out how to know if the restroom is occupied, and what to do if a traditional Japanese toilet is your only option. How do I try one out? Toto has a list of locations (including hotels and restaurants) that have Washlets, so you could make a special trip to try one out in person. Unfortunately, though, they are not in every state. Plumbing showrooms will often have one on the floor, but not one that you can use. The best I have seen in person is one that was hooked up to water. You could turn the nozzle on and watch the water through a clear plastic lid, but for obvious reasons, that doesn't answer all the questions that one might have. Heated Seat. What a luxury! This is worth it, worth it, WORTH it in my opinion. So nice to be spared the "Oh my God, that's COLD!" reaction. Adjustable pressure/pattern of water spray. After all, no two bodies are alike. Programmable personal preferences. Once you find what works for you, it is a simple push of a button to get to your programmed preferences. Different users, different programs. I say "good to know" because I don't have any "bad things" to say -- just some things that are good to know that you won't know unless you experience them or hear them from someone who has (and who probably does more research on toilets than your average friend, no?). The adjustable nozzle position is important. The one I tested did not have this feature. I found myself having to sit differently on the seat. This was not that big of a deal for me, as I am small and able-bodied. However, if the user does not have the same ability to move around (or doesn't want to have to think about changing a habit that has been formed over a lifetime of toilet-use), then the ability to adjust the position of the nozzle is important. You will still need toilet paper. The washing and blowdrying does a very good job, but you will probably still need to use a small amount of toilet paper. Water alone will not get the job done. This is something to be especially aware of if you are shopping for someone who has difficulty with the dexterity required to self-clean. It should reduce, but not completely eliminate the need for periodic nursing assistance. Again, without a little toilet paper, you will not be squeaky clean. They are from a country where using a bidet is the norm. They are shopping for a family member who has some dexterity challenges that make personal hygiene difficult. They are planning to age-in-place and are choosing features that will support independent living for as long as possible. 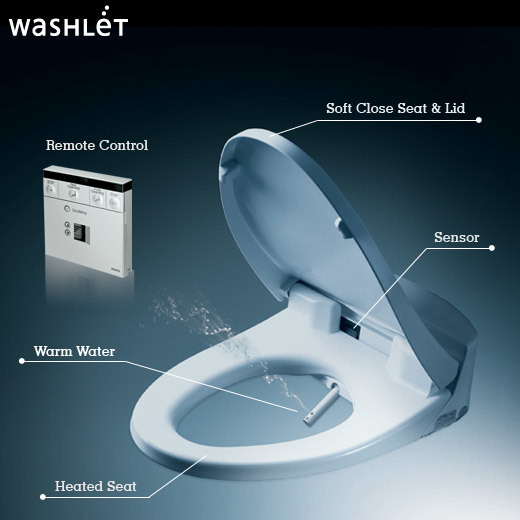 Assuming you have an elongated bowl shape, I would go with the Toto Washlet S500e. They range in price from $900-$1,499 retail (your plumber will buy them for much less if they are purchasing from a plumbing retailer, or you can purchase directly from amazon. Currently amazon's price is less than $900). These models have the nozzle position adjustment as well as the instantaneous water heating, electrolyzed water spray that keeps the bowl cleaner, deodorizer, adjustable water temperature and pressure, heated seat, warm air dryer, a pre-mist function that wets the bowl before use, and a self-cleaning wand. Toto has a comparison chart that compares other features for other models. If you feel like splurging, the Toto Washlet S550e adds an automatic open and close lid and a night light for about a hundred dollars more. What if I don't want to buy it now. Can I add one later? I have lots of clients who go ahead and have the electrician put the required outlet in place during construction so that the homeowners can add a Washlet later. Just be sure that you choose a Toto toilet that is compatible with the Washlet you want. (Stay with Toto brand for the best fit.) Oh, and don't forget to have an outlet installed on the correct side of the toilet for the Washlet you choose. 1- LABOR IS NOT FREE. The labor provided by the crew on staff for the production company is often free of charge and the value of their labor is not included in the project cost disclosed on the show. In Seattle, labor rates average $55/hour, plus the contractor's fee (typically 12-18%) plus sales tax on top of that (9.5%). Let's say that you had two guys full time for two months, plus one guy half-time for two months. That would be $26,981 if we assumed the lower end of the builder's fee range. Two months is a short timeline and would only be suitable for a small project such as a bathroom, deck, or very straightforward kitchen without a lot of things moving around (like walls, plumbing, electrical, etc.). 2- SUBCONTRACTORS ARE NOT FREE. Ever notice that all the workers on those shows are wearing T-shirts and jackets with their company names on them, big enough for you to read easily? And, they often get shots of their trucks with their logos, too. Doesn't it make sense to assume that either they are providing labor free of charge, or at a significantly reduced rate, in order to gain some publicity? Add up the list of people that you see: electricians, plumbers, heating/cooling systems specialists, tile setters, flooring installers, roofers, painters, drywallers, etc. It will be a long list, different for every show. Each one you see represents someone that would ordinarily be paid a labor rate that they are probably not charging for the sake of the show. 3- MATERIALS ARE NOT FREE. Most of these shows are filled with commercials for home improvement stores, plumbing fixtures, light fixtures, etc. Their goal is to make the projects look simple and affordable so that you will buy materials from them for your own project. If you listen closely, you will sometimes hear the host of the show say "we can get you a good deal" … This tells me that either materials are being bought at wholesale and sold to the homeowner with no mark-up, or that one of the sponsors is providing materials for promotional consideration. 4- DESIGN IS NOT FREE. Rates and fee structures vary, depending on your local market and whether or not you are working with a qualified, licensed professional architect or a self-proclaimed designer. Typically, design services are provided by the show when the design evolution and presentation are presented as part of the show's format. 5- THERE ARE OTHER COSTS. 6- THEIR TIMELINES ARE NOT NECESSARILY REAL. They may make it seem like the work was done in 4 weeks, but there is a good chance it took longer. I have a colleague who lived next door to a home where a back yard makeover show was filmed. When he watched the show that aired, it was pure entertainment. What had been made to seem like it only took 3 weeks actually took 12 weeks! It is impossible to know, and it varies widely depending on the show. My personal assumption is that the cost of goods and services that were not provided by the show's production company is the only expense that is passed along to the homeowner. How much could this skew the construction cost? A lot. By 50% -- or more -- is my guess. And if you go beyond construction cost to consider all the associated project expenses, that skew becomes even bigger.